The Most Dora the Explorer on the Net! Where are all the blueberries? 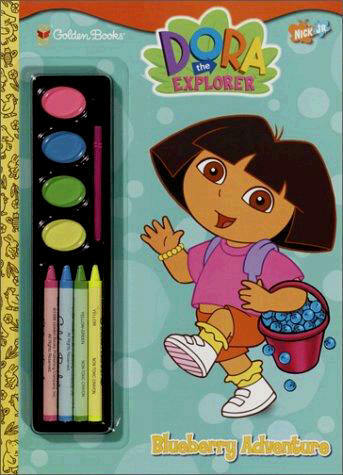 With help from Map, Backpack, and you, Dora and Boots go on a hunt for delicious berries! Includes paints and crayons. Copyright © 2001. [Outlet4Toys.Com]. All rights reserved. "ALL PICTURES TEXT AND GRAPHICS ON THIS SITE ARE THE PROPERTY OF Outlet4Toys. USE OF ANY TEXT, PICTURE OR GRAPHICS IS SUBJECT TO $1,000.00 MINIMUM CHARGE PER INCIDENT"